We were able to work with Rural Stonework’s existing website to optimise their content so that they could be found for their targeted Google searches. 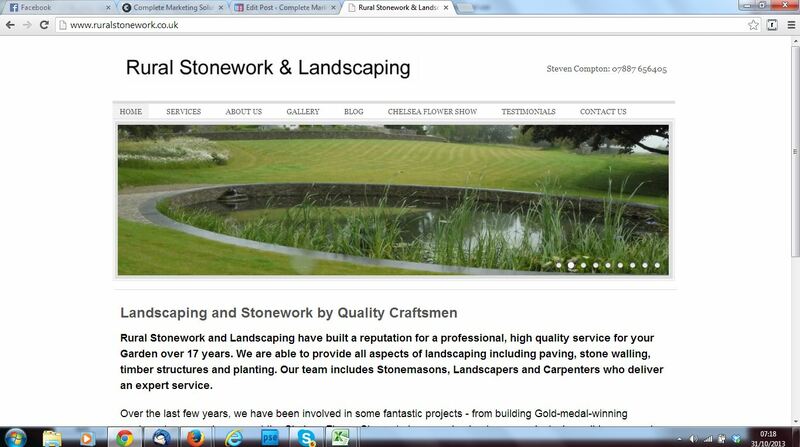 Since working on their site, Rural Stonework have seen a surge in page visits, enquiries and new clients. Based in Barnstaple, Rural stonework offer professional stonework and landscaping services across North Devon and beyond – they’ve even worked on winning projects at the RHS Chelsea Flower Show!